Having particularly sensitive skin, I am always on the search for shampoos that don’t contain the usual Sodium Lauryl Sulphate ( SLS’s) amongst the other irritant chemicals that crowd our supermarket shelves, so its refreshing to find a product range that can exist without cramming all those horrible chemicals into it (I know this review is about the product for my little one, but I wouldn’t consider using anything on her that I wouldn’t happily put on myself first!) 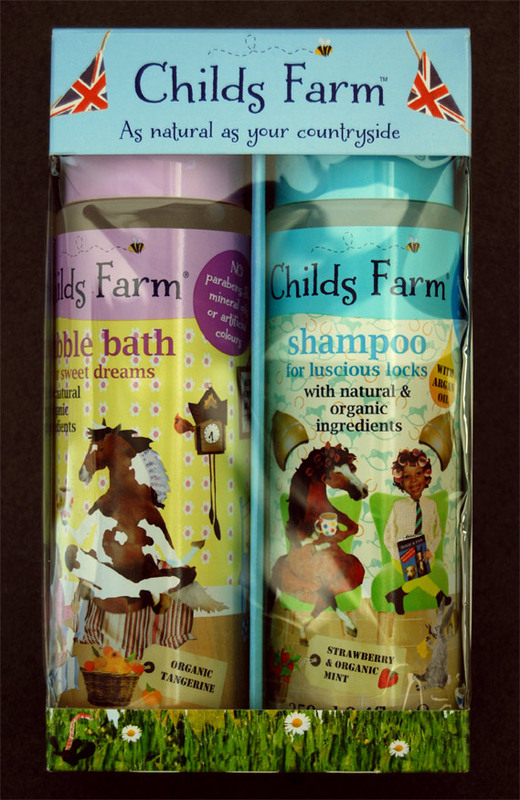 Childs Farm are award winning natural toiletries for children that contain organic ingredients and have no parabens, SLS’s, mineral oils or artificial colours. They are UK based in Hampshire so its good that by buying their product you are supporting British manufacturers. The shampoo is strawberry and organic mint. You get a lovely, yummy aroma of strawberries when you use it and for an SLS free shampoo it lathered up surprisingly nicely too! I used the shampoo on my hair as well as my little one and it was a pleasant shampoo that made my hair feel soft. Its good to know that when using a product its not full of harsh chemicals that can irritate the skin. Visit the website for full details on the ingredients used. The bubble bath is organic tangerine and smells gorgeous! It creates good long lasting bubbles when you use a healthy glug of it added to running water. 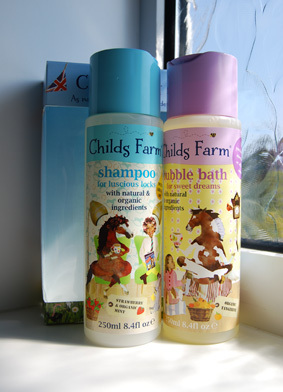 Nice as a treat for you or your little one and the double pack of shampoo and bubble bath would make a lovely pressie. I got mine from The Dotty Popsy Gift Shop, 174 Portland Road, Hove, BN3 5QN Retails at £9.99 who are exclusive stockists of Childs Farm in the Brighton & Hove area. Visit The Dotty Popsy Gift Shop website for more details. Check the Childs Farm website for local stockists near you as it has a full list. I like the fact that it has no harsh chemicals and that its supporting local manufacturers. Good leak proof tops if you want to take them with you to the grandparents or on your hols. Nice products and would definitely use again for me and my toddler. 3 Comments: "Child’s Farm Product review"
Your welcome Joanna, they were such lovely products it was no problem to review them!